Ever since the new Belgian waffle maker arrived on my doorstep, I’ve been making all sorts of waffles. After a few weeks of breakfast-style waffles, I decided to branch out and make something that worked well for dinner…on those night when breakfast for dinner wasn’t quite right. 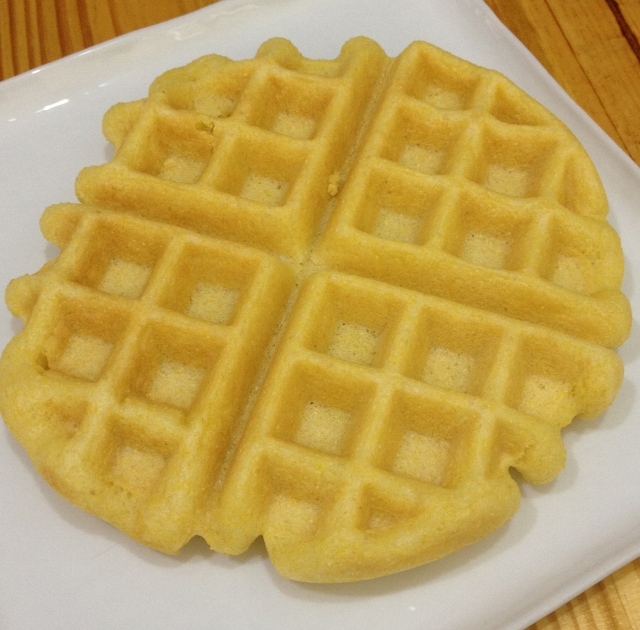 Cornbread waffles are the first of the savory waffles I’ll share with you. 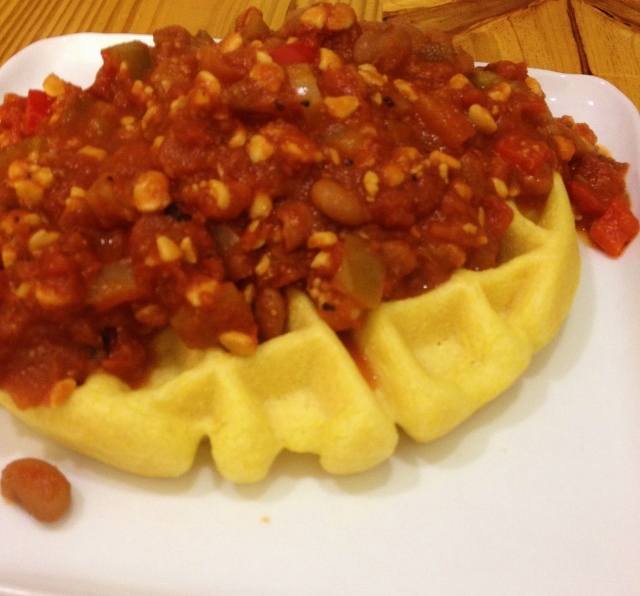 I chose to top these waffles with a super thick, chunky veggie chili. I’ll share that recipe later this week. I was inspired by a photo of a recipe shared in the Penzey’s spice catalog. I believe the recipe was titled, “Cornmeal waffle with Texas chili” or something similar. My version has just a hint of the sweetness customary to cornbread. And there’s no Texas (beef) in my chili, just a lot of veggies and smoky flavor. I hope you’ll check back later this week for the chili recipe! In a medium mixing bowl, combine all dry ingredients. Stir until well mixed. In a small mixing bowl, combine all liquid ingredients, whisking until well combined. Add liquid mix to dry. Stir until just combined. Heat waffle iron. Spray with non-stick cooking spray. Pour in 3/4 cup to 1 cup of waffle batter. Cook according to manufacturer's instructions. In my waffle iron, these were done between 6 and 8 minutes. When the amount of steam coming out of the waffle iron is greatly reduced, this is an indication that the waffle is done. I know I’ve mentioned savory several times in this post, but these waffles also have a sweet purpose. The leftover waffles are divine drizzled with a bit of honey. While I know not all of you will have leftover waffles, I had plenty of extras while testing and re-testing this recipe and found lots of tasty ways to eat them. While my favorite was definitely with veggie chili, drizzled with a touch of honey comes in second. I hope you’ll enjoy this as much as I do! If you’re looking for a more traditional breakfast waffle, you might enjoy my Lazy Morning Belgian Waffles. Perfect topped with fresh berries and a dollop of coconut whipped cream! This post contains affiliate links. Should you make a purchase from one of the links in this post, I may make a small commission, perhaps even enough to buy a bunch of kale or a pound of flour. Your price stays the same. 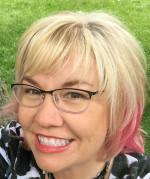 Using affiliate links allows me to continue providing high-quality, original recipes developed and tested in my kitchen as well as other original content at no charge to you. I am grateful for your support! Which brand of cornmeal do you like to use. the last few times that I’ve made gf cornbread, I haven’t been thrilled with the Bob’s Redmill brand. Hoping you might use a different one.??? I use cornmeal from Anson Mills. Thank’s so much Johnna! Can’t wait to get that brand and try it.